Lakeland Walks & Talks invites you to the inaugural Boxing Day Waddle - Lose some of those excess Christmas calories & join us for a day among fells & friends! The inaugural Lakeland Walks & Talks 'Boxing Day Waddle' is one not to be missed! Come and join me Steve Watts and share the magnificent scenery of the Rydal Round. What better way to work off those excess calories and clear those Christmas celebration hangovers than breathing in the crisp winter Lakeland air! Do not miss out - Book your FREE place today! The Lakeland Walks & Talks 'Boxing Day Waddle' is suitable for all abilities, shapes and sizes. Starting from the glorious surroundings of Rydal Hall we will venture along the coffin route to the shores of Grasmere, taking in the delights of Deerbolts Wood, Loughrigg Fell and Rydal Caves. Back in time for Tea, Coffee and a well earned mince pie! Hurry! Reserve your place today! Do not miss out - Book your FREE place today! Simply complete the form below! The Lakeland Walks & Talks 'Boxing Day Waddle" is FREE! Sign-up below to reserve your place! Hurry spaces filling fast! The Lakeland Walks & Talks 'Boxing Day Waddle' is a FREE event. However, a suggested donation of £5.00 per person would be greatly appreciated. All proceeds raised from the walk will be donated to “Heartbeat For Everest” supporting the British Heart Foundation & The Himalayan Trust UK. The marathon starts at Mt. Everest Base Camp (17,598ft) just beneath the Khumbu Icefall region finishing 26.2 miles later in Namche Bazaar (11,306ft). Running through awe-inspiring surroundings and in the midsts of imposing mountains in the heart of the Himalaya, this is the highest marathon in the world. 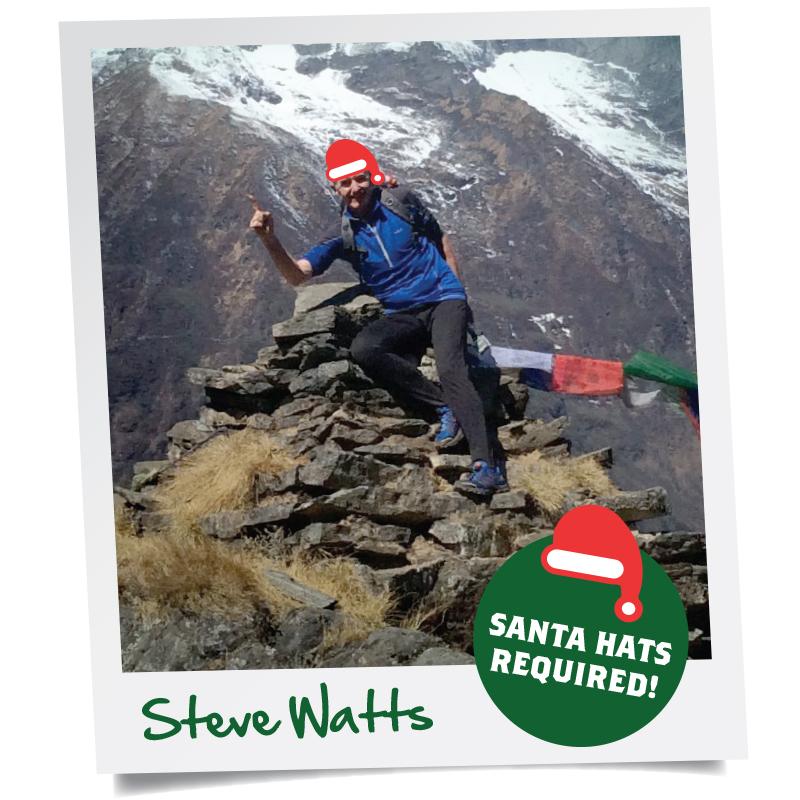 Upon completing this epic challenge Steve will become the first person to do so with a Pacemaker!